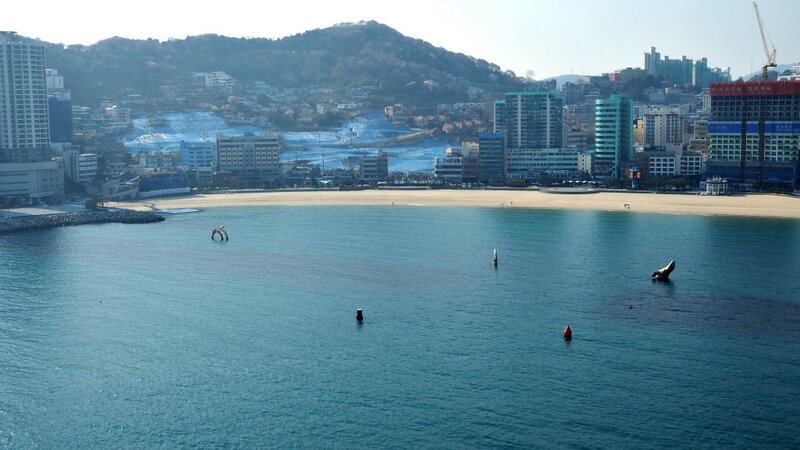 Rise above the sea of Busan and feel the thrill and beauty around you! 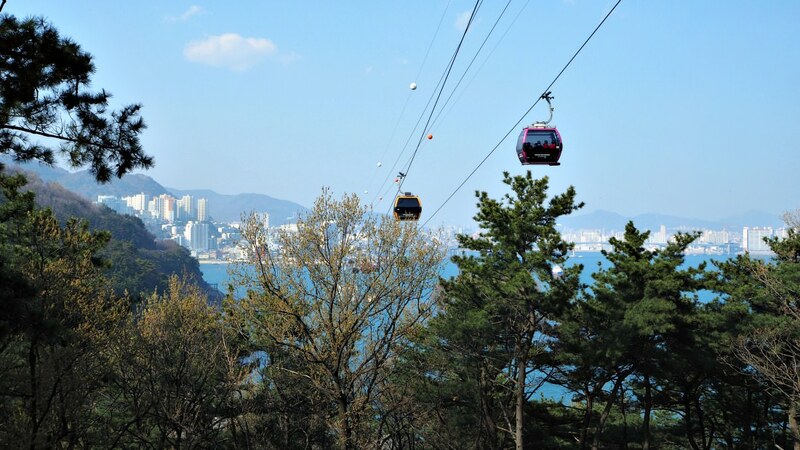 Songdo Marine Cable Car is one of the best attractions in Busan City. The management operates the system daily. 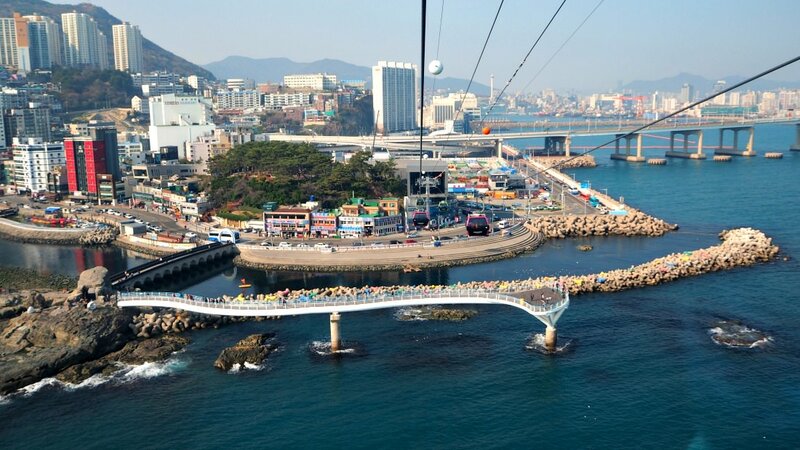 Its operation gears towards serving all excited visitors to see Busan from above the sea. It is resumed after 29 years out of service due to some reasons. This ‘Air Cruise’ has been one of my major planned activities in Busan. Among my listed travel activities, I promised myself not to miss this exciting attraction. Yes, I did it! 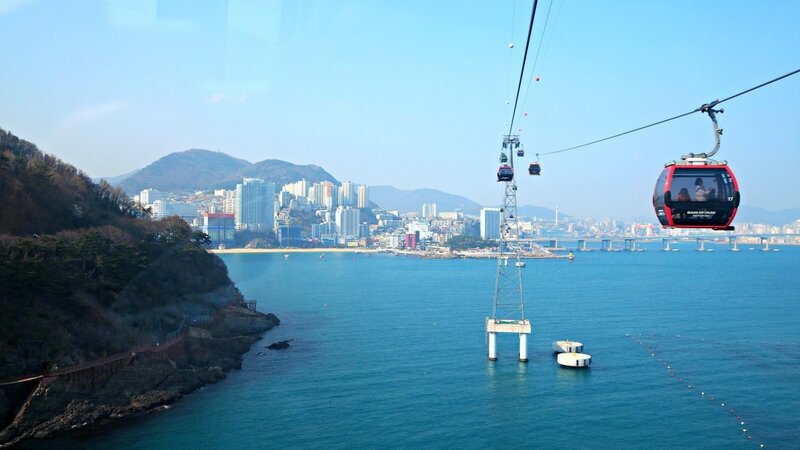 Moreover, I was not so scared while inside the cable car alone and some meters above the sea. Whew! I got what I wanted--an experience and taking photos from above. It was a soul-lifting experience, very different from my daily routine. I have seen the turquoise sea, boats and ships gliding. From above, I saw the rolling mountain range of Busan, the towering futuristic structures, the fine beach of Songdo, and everything my eyes laid on. I will surely retake a ride when the opportunity comes. And I believe it would be a different experience and could be better than the first. All right let me share with you some useful information regarding Songdo Marine Cable Car. Hopefully, this could help you decide to make your visit worth your while. Below, you can see the facilities and areas offers for all visitors with varied needs. The facilities are meant to serve visitors of various ages and purposes including families with little children, adults and the aged, people with physical handicapped, couples, students, and group travelers. It means that you do not need to see and experience all offers. But you are free to see them and try if you can enjoy them. More details on this further down below. Most of the facilities and spaces above were created to provide visitors and travelers better views and insights about the surroundings and sights available from each facility’s vantage point. Yes, I recommend that you visit and experience one of such places. Below, you can see more facilities and services for your memorable and fun experience at Songdo Marine Cable Car air cruise facility. Songdo Bay Station is the facility located down below and close to Songdo Beach area, Songdo Haneul Walk, and other facilities. You can purchase your cable car ticket and ride from here to the other end of the cable system. Basically, Songdo Bay Station has the Bay Harbor Rooftop Garden. I’m sure you know what it means. The other one is Bay Terrace Observation Deck where you can see the panorama of the city and the vast blue sea of Busan. The Songdo Skypark is the other end of Songdo Marine Cable Car Air Cruise facility. Yes, you can also enjoy the parks and facilities surrounding the area. I cannot tell you everything about each facility as I didn’t have much time to explore everything. Probably next time around! It was from here that I purchase my first cable car ride in Busan! I took a bus to get here and walk all the way up the hill (almost like a mountain to me!). Therefore, I would suggest that if you have an elderly and physically handicapped friend or family member better ride the cable car from Songdo Bay Station. Kids would love to see the moving dinosaurs in the park. Adults can also make memorable experiences through the facilities I’ve mentioned above (such as the Time Capsule, Message Bottle, etc.). Bus #6, 7, 26, 30, and 71. 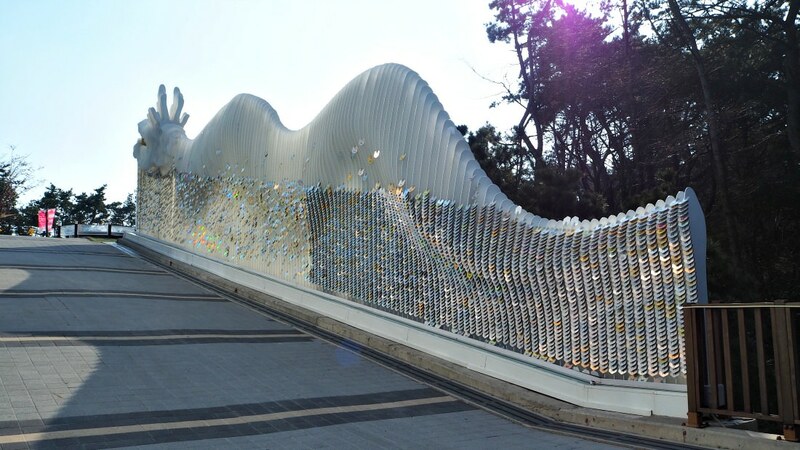 Get off at Songdo Beach Bus Stop and walk for around 10 minutes. You will see the place in a distance--obviously linked to cables with cable cars hanging on them! 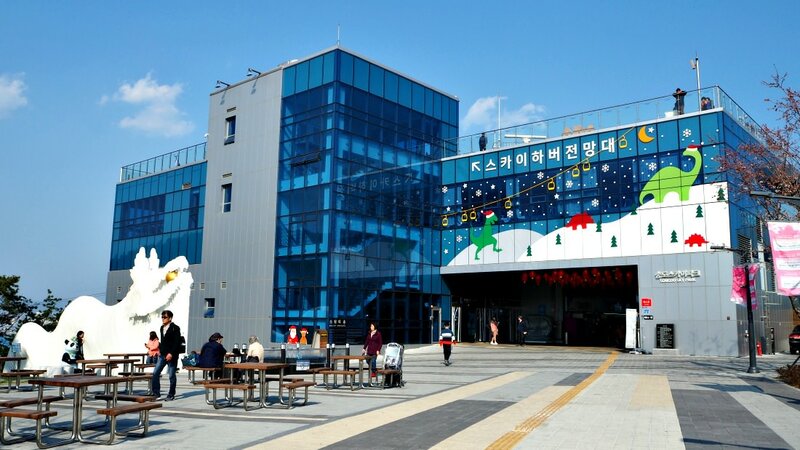 If taking the Metro, transfer to a bus at Exit 1 or Exit 8 of Nampo-dong Station. If you are taking a Taxi, it would only take around 10 minutes from Nampo-dong for about 5 USD. Citytour Jumbo Bus. When taking this bus, get off at Songdo Beach bus stop then just walk towards the cable car facility. You will certainly find your hotel room in the area as there are many choices available. If it helps, you may also find more nearby hotels here. If you are done exploring everything and around Songdo and Nampo-dong, the following nearby and some not so nearby attractions could be helpful. Please, see some more Busan travel destinations and attractions here. It’s my pleasure to have you read this article. I hope this has been useful in your travel search. Thanks and enjoy your travels.